Heat oven to 275°F. Spray cookie sheet with nonstick cooking spray. Spread pecans on sprayed cookie sheet. Bake at 275°F. for 10 minutes. Meanwhile, in medium saucepan, combine all remaining ingredients except vanilla; mix well. Bring to a boil. Cook 2 minutes, stirring occasionally. Remove saucepan from heat. Add vanilla and pecans; mix well. 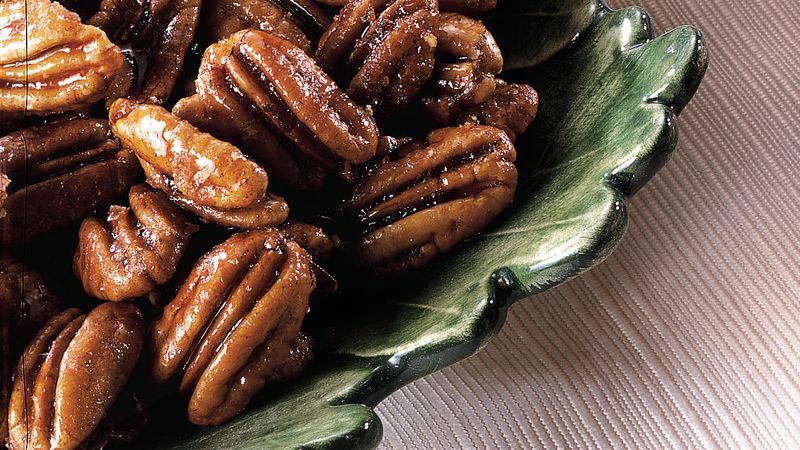 Spoon pecans onto foil or parchment paper. Separate with fork. Cool 30 minutes. Store in tightly covered container in cool, dry place.